Nick qualified with BDS in 1982 from University College London. He passed LDS & RCS in January 1983, during which time he was presented with awards for being the top student in prosthetics, crown and bridge and endodontics. In 1992 he successfully completed the implant course and The Eastman and in 1993 received the MGDS qualification from the Royal College of Surgeons. He has been involved in the administration of the British Dental Association and the PCT as the nominated dental representative for Surrey. 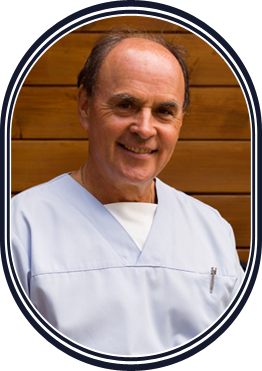 He has also been a active member of the Local Dental; committee for over 20years. 2010 saw the 25th Anniversary of Nicholas & Jennifer at The Rothley Lodge Family Dental Surgery.